Experienced Business Leaders unite to create Sage Prosperity Partners in Chicago and Boston. Mindfulness Mastery to be focus. Our Mission is to Transform the few to influence the many! 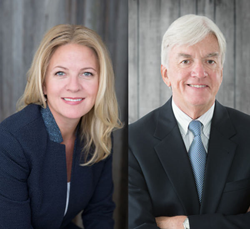 Taking Leadership Development to a new and exciting level for CEO's, Mindfulness expert and author Lisa Brazelton of Chicago, along with Training Thought Leader Robert Foley of Boston, have joined forces and formed Sage Prosperity Partners (SPP). The focus of their new organization is to integrate Leadership Development with Mindfulness and Self Awareness to establish Mindfulness Mastery. This new and forward thinking approach takes Emotional Intelligence to the next level, which they call Emotional Wisdom(TM). With a combined 40 years of CEO experience, they will target their peers to influence this new and powerful model of the next generation of leading an organization. "Our focus is to educate the few who influence the many", according to Ms. Brazelton who has studied Mindfulness and Consciousness for over 26 years. Foley, a Leadership Development devotee says, " After collaborating with Lisa, we merged our two specialties to create a new and profound business mastery model, which is very exciting". Ms. Brazelton added, " with the various distractions to perform and produce in business life today, leaders are kept in a fight or flight mode. Our aim is to help Leaders sift though the chaos and rise above their current realities with insight, empathy and wisdom, so they can be more effective, focused and sound in solutions, thus improving productivity, morale and financial performance". Foley concluded with, "Through mindfulness, a more focused Leadership team has more time to focus on Strategy rather than fighting fires". Both Foley and Brazelton, with deep roots in heading up organizations, showcased the details of their new model on the evening of March 6th, when Ms. Brazelton appeared on a panel, presented by Northwestern's Kellogg School of Business, Alumni Club of Chicago. The talk entitled, "Mindfulness in Practice - Implications for Leaders and Organizations," was held at EvolveHer Center at 358 W. Ontario St. #3 Downtown Chicago.